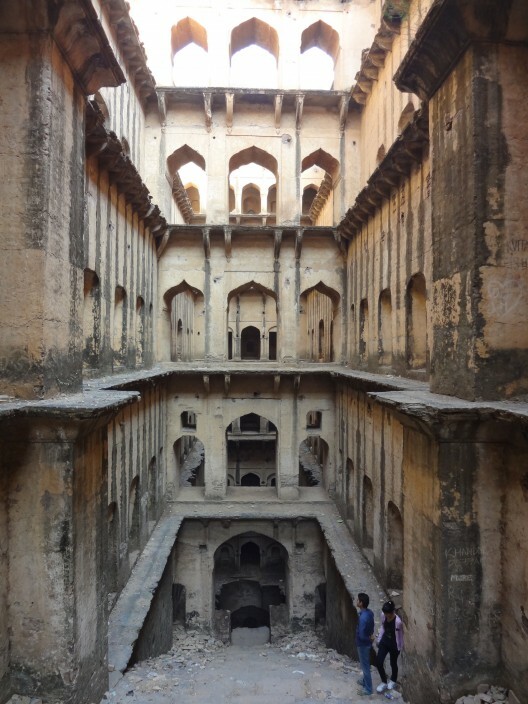 It’s hard to imagine an entire category of architecture slipping off history’s grid, and yet that seems to be the case with India’s incomparable stepwells. Never heard of ‘em? 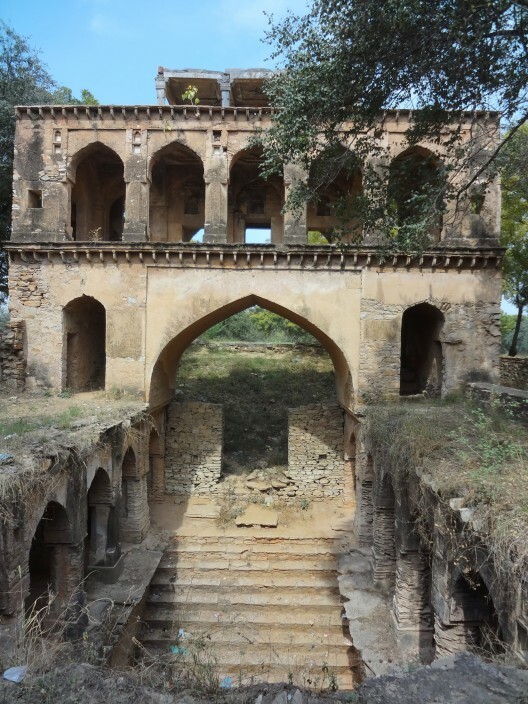 Don’t fret, you’re not alone: millions of tourists – and any number of locals – lured to the subcontinent’s palaces, forts, tombs, and temples are oblivious to these centuries-old water-structures that can even be found hiding-in-plain-sight close to thronged destinations like Humayun’s Tomb in Delhi or Agra’s Taj Mahal. 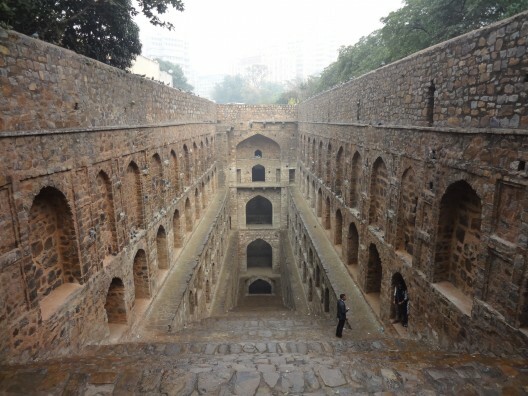 But now, India’s burgeoning water crisis might lead to redemption for at least some of these subterranean edifices, which are being re-evaluated for their ability to collect and store water. With any luck, tourist itineraries will also start incorporating what are otherwise an “endangered species” of the architecture world. 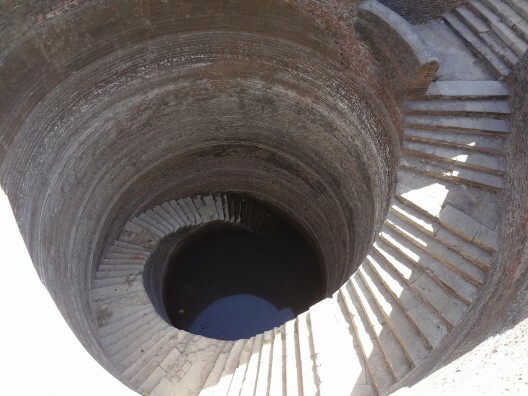 Rudimentary stepwells first appeared in India between the 2nd and 4th centuries A.D., born of necessity in a capricious climate zone bone-dry for much of the year followed by torrential monsoon rains for many weeks. 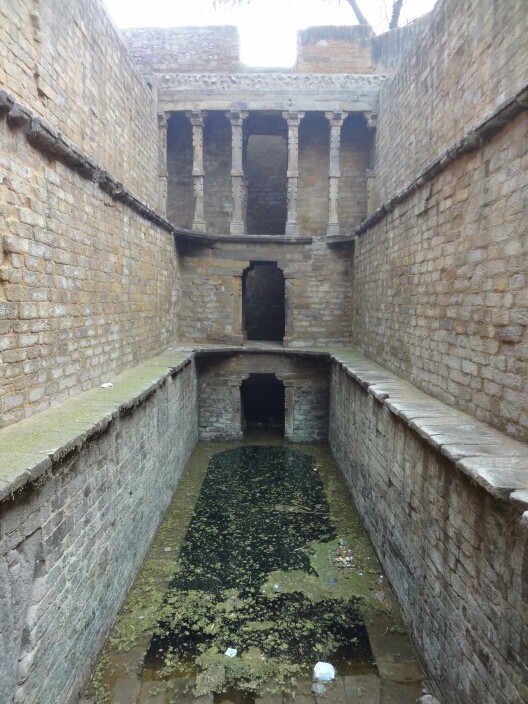 It was essential to guarantee a year-round water-supply for drinking, bathing, irrigation and washing, particularly in the arid states of Gujarat (where they’re called vavs) and Rajasthan (where they’re baoli, baori, or bawdi) where the water table could be inconveniently buried ten-stories or more underground. 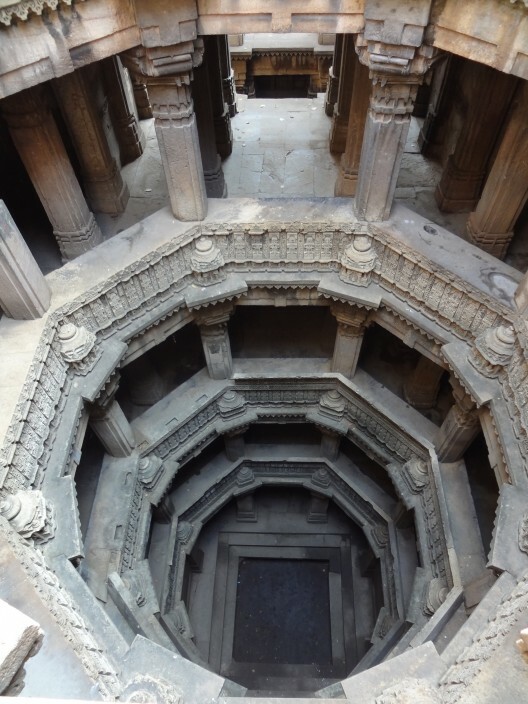 Over the centuries, stepwell construction evolved so that by the 11th century they were astoundingly complex feats of engineering, architecture, and art. 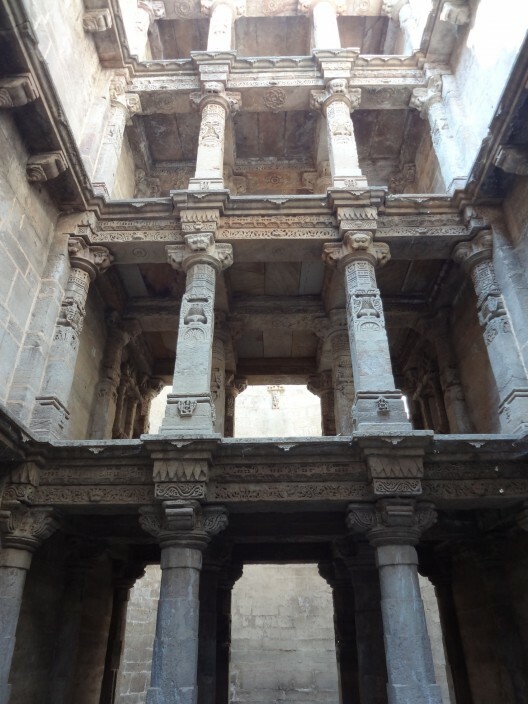 In many wells – particularly those in Gujarat – covered “pavilions” punctuated each successive level, accessed by narrow ledges as the water level rose, and providing vital shade while also buttressing walls against the intense pressure. 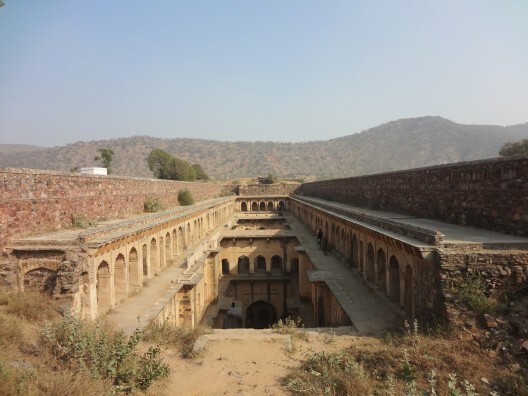 For this same reason, most stepwells gradually narrow from the surface to the lowest tier underground, where the temperature is refreshingly cool. By building down into the earth rather than the expected “up”, a sort of reverse architecture was created and, since many stepwells have little presence above the surface other than a low masonry wall, a sudden encounter with one of these vertiginous, man-made chasms generates both a sense of utter surprise and total dislocation. Once inside, the telescoping views, towering pavilions, and the powerful play of light and shadow are equally disorienting, while also making them devilishly difficult to photograph. 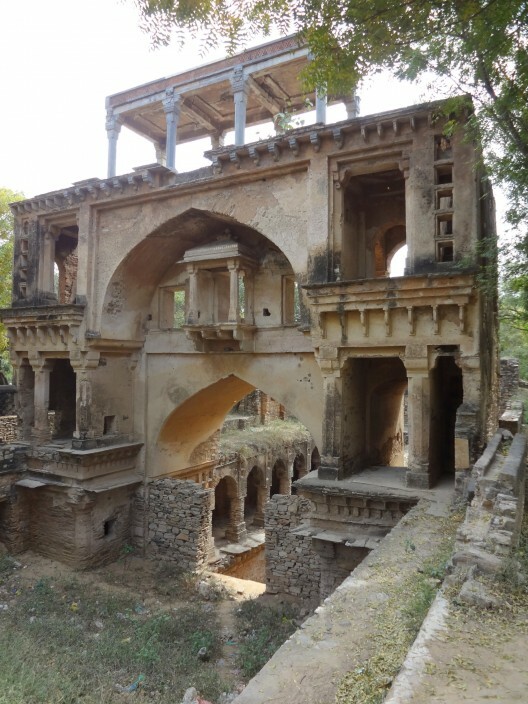 By the 19th-century, several thousand stepwells in varying degrees of grandeur are estimated to have been built throughout India, in cities, villages, and eventually also in private gardens where they’re known as “retreat wells”. 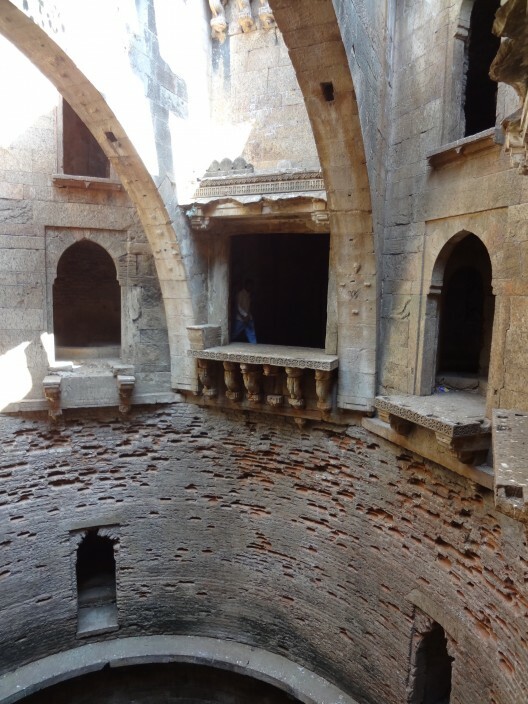 But stepwells also proliferated along crucial, remote trade routes where travelers and pilgrims could park their animals and take shelter in covered arcades. They were the ultimate public monuments, available to both genders, every religion, seemingly anyone at all but for the lowest-caste Hindu. 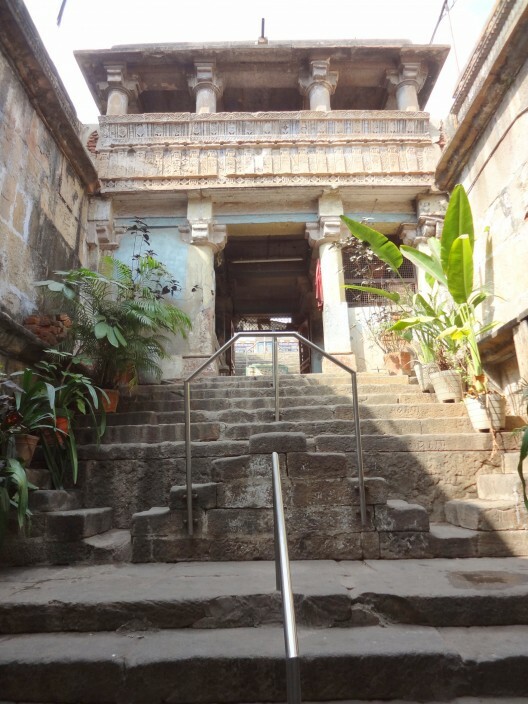 It was considered extremely meritorious to commission a stepwell, an earthbound bastion against Eternity, and it’s believed that a quarter of these wealthy or powerful philanthropists were female. 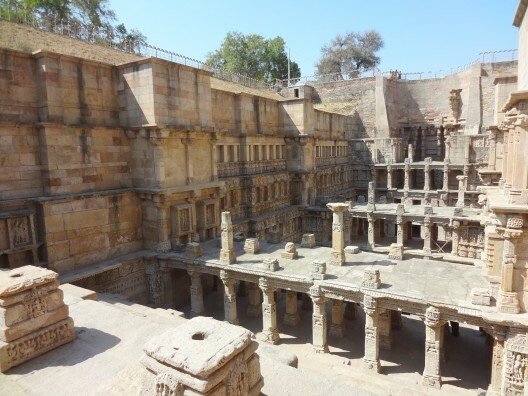 Considering that fetching water was (and is still) assigned to women, the stepwells would have provided a reprieve in otherwise regimented lives, and gathering down in the village vav was surely an important social activity. 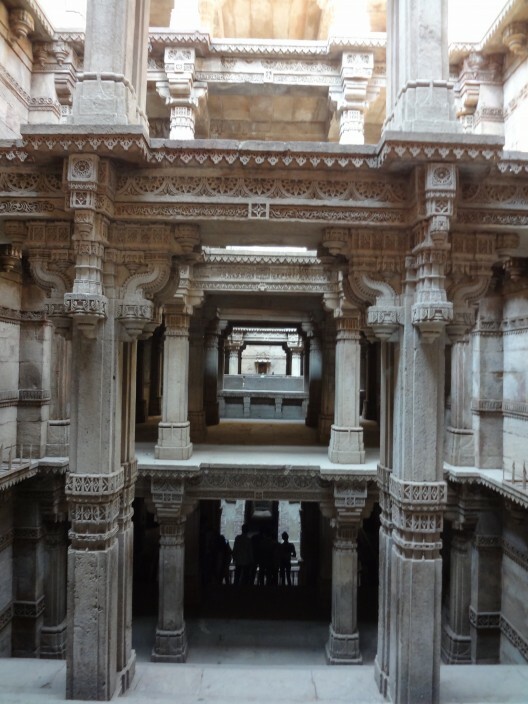 Stepwells fall into similar categories based on their scale, layout, materials, and shape: they can be rectangular, circular, or even L-shaped, can be built from masonry, rubble or brick, and have as many as four separate entrances. But no two are identical and – whether simple and utilitarian, or complex and ornamented – each has a unique character. 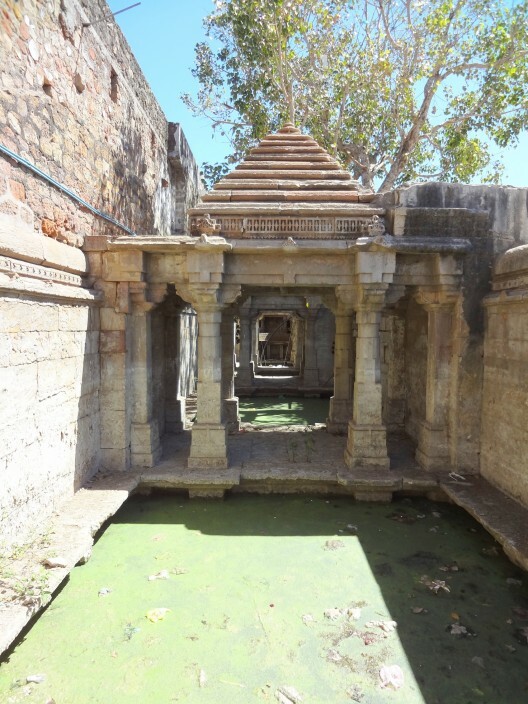 Much depends on where, when, and by whom they were commissioned, with Hindu structures functioning as bona-fide subterranean temples, replete with carved images of the male and female deities to whom the stepwells were dedicated. 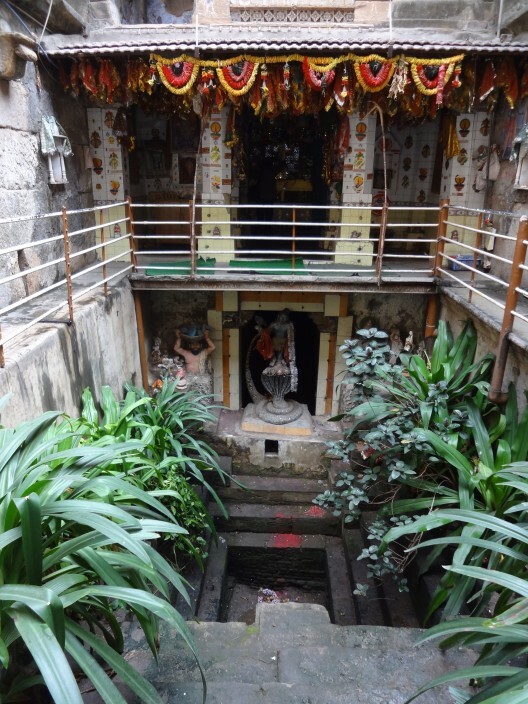 These sculptures formed a spiritual backdrop for ritual bathing, prayers and offerings that played an important role in many Hindu stepwells and despite a lack of accessible ground water, a number continue today as active temples, for instance the 11th-century Mata Bhavani vav in Ahmedabad. 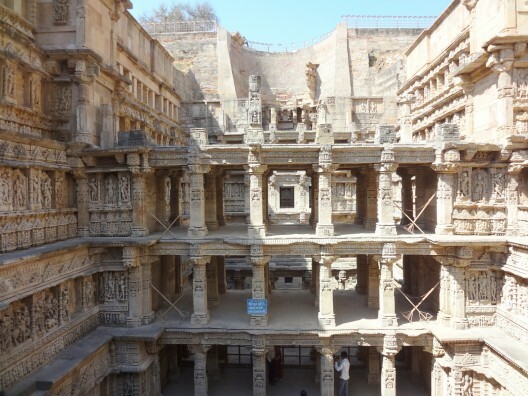 Nowhere was a more elaborate backdrop for worship planned than at India’s best-known stepwell, the Rani ki vav (Queen’s Well) two hours away in Patan. Commissioned by Queen Udayamati around 1060 A.D. to commemorate her deceased spouse, the enormous scale – 210 feet long by 65 wide – probably contributed to disastrous flooding that buried the vav for nearly a thousand years under sand and mud close to its completion. The builders realized they were attempting something risky, adding extra buttressing and massive support walls, but to no avail. 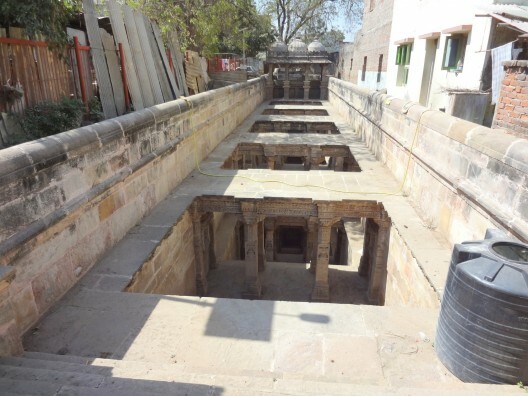 In the 1980’s, the excavation and restoration of Rani ki vav (which is hoped to achieve UNESCO World Heritage status soon) were completed but by then, long-exposed columns on the first tier had been hauled off to build the nearby 18th-century Bahadur Singh ki vav, now completely encroached by homes. 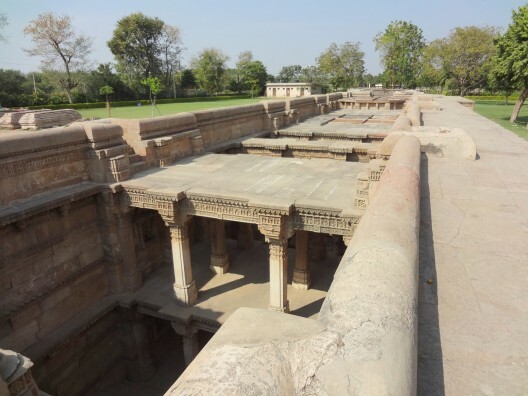 Once Muslim rulers began to dominate in India (dates differ depending on the area) stepwells shifted in their design both structurally and decoratively. 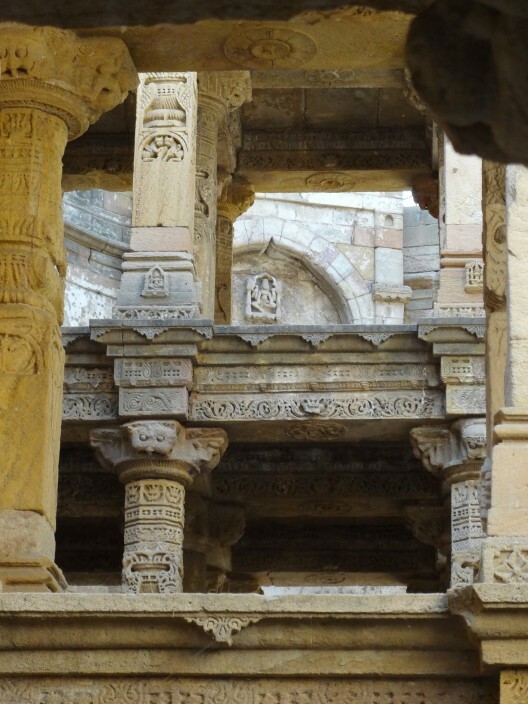 Hindu builders used trabeate (or post and lintel) construction with corbel domes, Muslims introduced the arch and “true” dome. Hindu artists carved sculptures and friezes packed with deities, humans, and animals while Islam forbade depictions of any creatures at all. 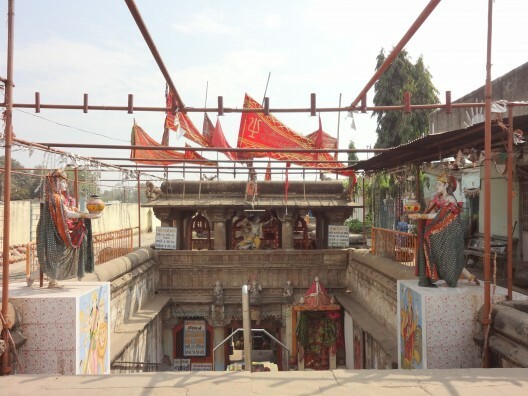 But when, for a brief period in Gujarat, the two traditions collided around 1500 A.D. a pair of brilliant offspring resulted close to the new capital of Ahmedabad, and worth a detour for anyone visiting the modernist masterworks of Le Corbusier, Louis Kahn, or B.V. Doshi. Both the Rudabai and Dada Harir vavs are five stories deep with octagonal subterranean pools, each commissioned by a female patroness and, although Rudabai boasts three separate entrances (a rarity), it and Dada Harir vav are conceptual cousins, built at virtually the same moment just twelve miles from one another, commissioned under Islamic authority using Hindu artisans. 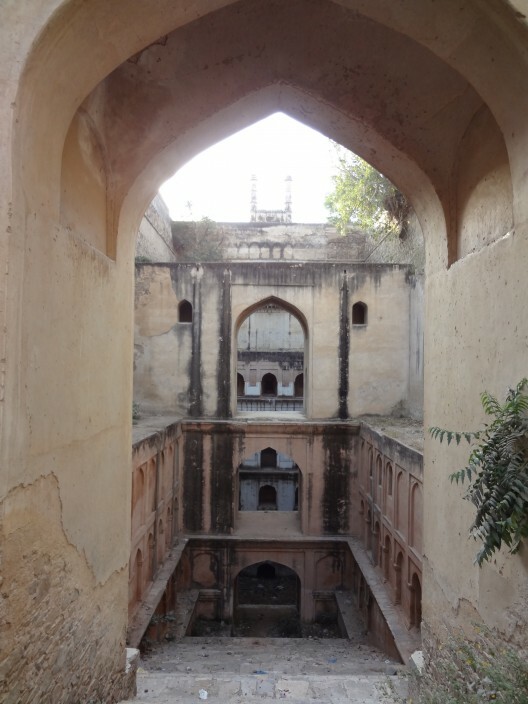 Each is elaborately decorated, but with a notable absence of deities and human figures, but compared to other, more somber Islamic-commissioned stepwells, these two are positively flamboyant. 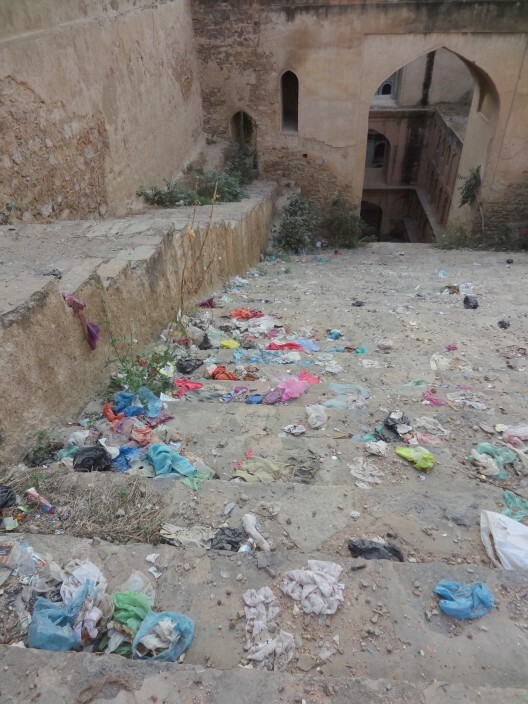 As for the current state of stepwells, a hand-full are in relatively decent condition, particularly those few where tourists might materialize. But for most, the prevailing condition is simply deplorable due to a host of reasons. 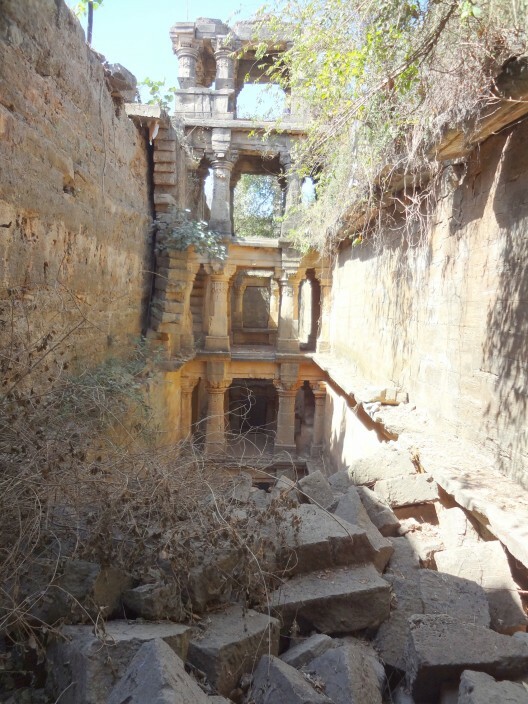 For one, under the British Raj, stepwells were deemed unhygienic breeding grounds for disease and parasites and were consequently barricaded, filled in, or otherwise destroyed. 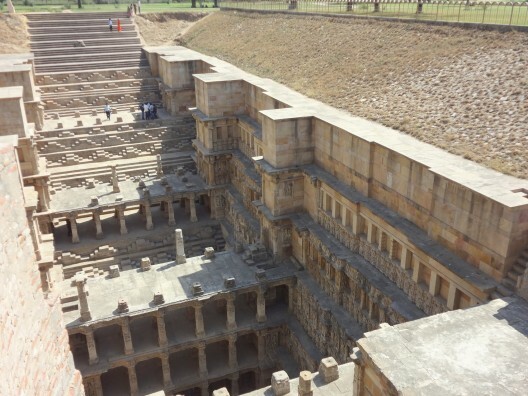 “Modern” substitutes like village taps, plumbing, and water tanks also eliminated the physical need for stepwells, if not the social and spiritual aspects. 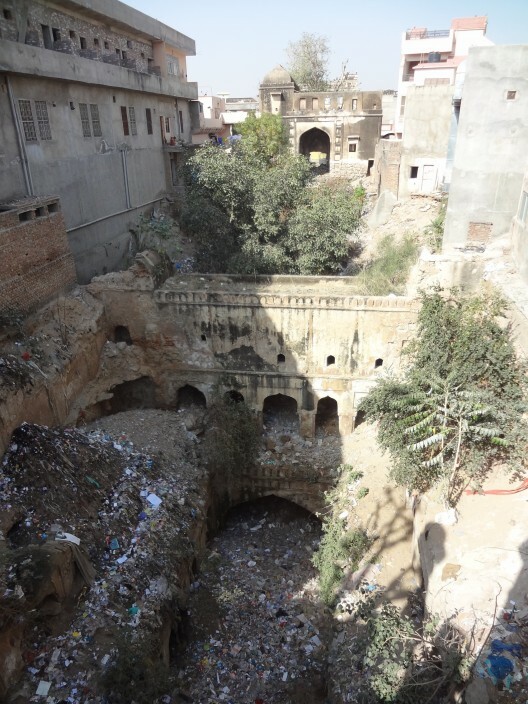 As obsolescence set in, stepwells were ignored by their communities, became garbage dumps and latrines, while others were repurposed as storage areas, mined for their stone, or just left to decay. 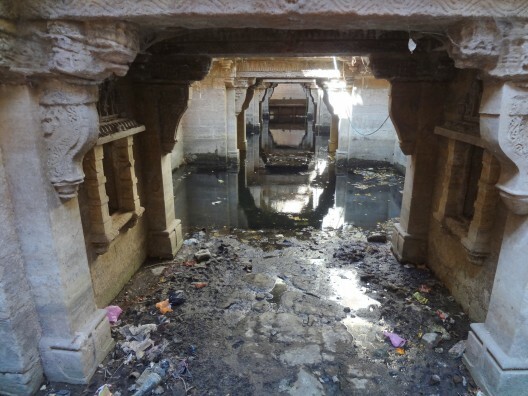 Depleted water-tables from unregulated pumping have caused many of the wells to dry up, and when water is present, it’s generally afloat with garbage or grown over with plant-life from lack of attention, even in currently-active temple wells. 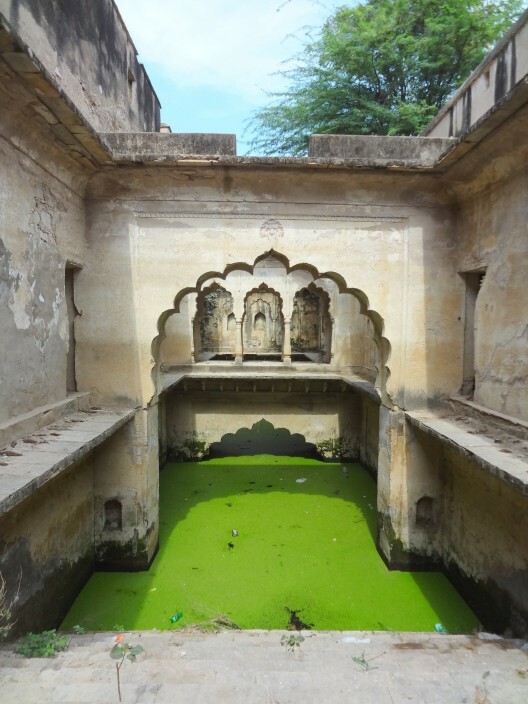 Stagnant water is the least of it: anyone with phobias for snakes, bats, bugs, heights, depths, darkness or filth will find many stepwells challenging. 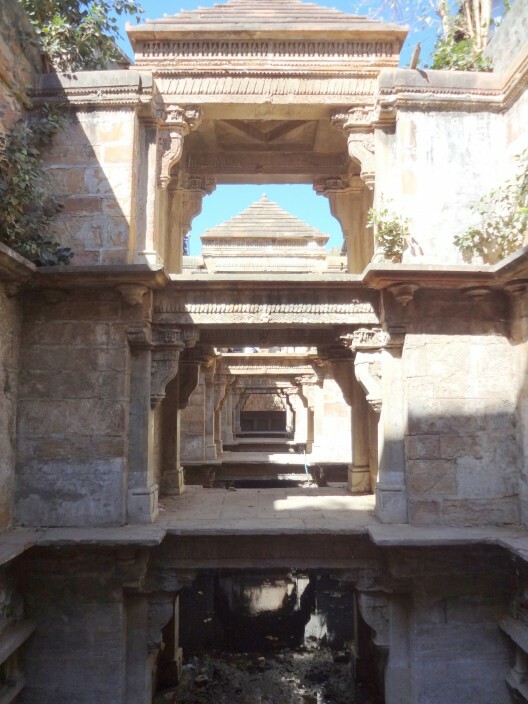 The unusual, 16th-century Bhamaria retreat well near Mehmedabad houses a colony of extremely vocal bats; the extraordinary 13th-century Vikia vav on a former caravan route near Ghumli is on the verge of total collapse. 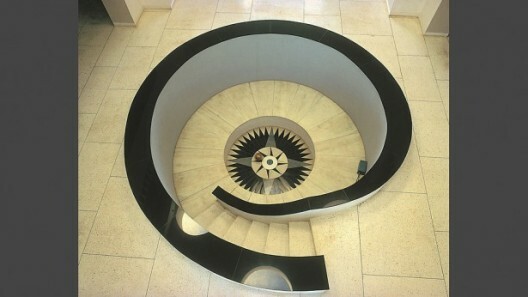 Stairs are unstable and treacherous. The list goes on. Do these unique edifices have a future? 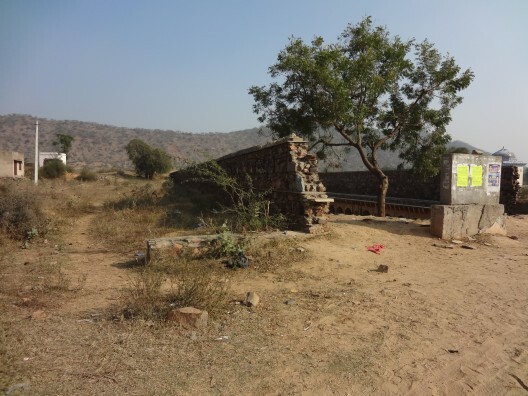 Grim as it may seem, the growing urgency for water conservation has spearheaded a few recent efforts to de-silt and “reactivate” a few wells in Delhi and Gujarat in the hopes that they might once again collect and store water. 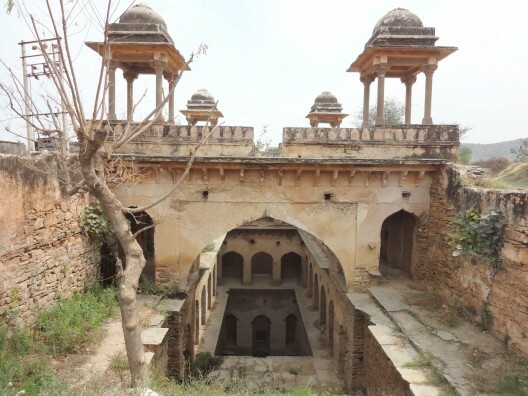 Meanwhile, a number of contemporary architects have taken inspiration from vavs and baolis (along with other stepped water-structures like ponds,kunds, and tanks that are frequently mistaken for stepwells) which may help ignite more interest in – and appreciation for – these disappearing marvels. Certainly, more books, studies, and articles are needed to help spread the word and anyone interested in further reading can look for these four invaluable tomes: Jutta Jain-Neubauer’s seminal (but out-of-print) The Stepwells of Gujarat In Art-Historical Perspective from 1981; Julia Hegewald’s costly but essential Water Architecture in South Asia of 2002; Morna Livingston’s gorgeous and informative Steps to Water, also from 2002; and Kirit Mankodi’s The Queen’s Stepwell at Patan (out of print) from 1991. But most important, gather your friends, get on a plane, and go see them for yourself before they dissapear for all time.